You once asked me what I was going to do. You had just finished telling me that everything would almost certainly be fine, that a large number of people have these cysts as adults and have no problems. The cyst that was growing inside our baby’s head was no reason for concern. So I replied that I would discuss today’s ultrasound results with my doctor the next time I saw her. In one breath, you told me he was fine – there was no cause for concern. In the next breath, you gave me “options”. You reminded me that many people don’t want to be bothered with carrying a baby to term if there is the slightest possibility of a problem, though you said there was no cause for alarm. You told me this cyst would have to be accompanied by any number of other issues for there to be a “problem”. That child, the one who had a cyst and no other accompanying issues, is turning twelve. His health is amazing, just as you said it would be. He had a CT scan done in his first year of life and the cyst was gone, as you said it likely would be. He’s my second child, well-loved by his father and me, and he was welcomed to this world by his big brother. A little over two years later, he would become the big brother welcoming a little sister to the world. We have three children now, each one so very loved! This guy had a very different temperament than our first son. My goodness! He ate, filled his diaper, cried, ate and slept. Until he was 7 months old and the sleeping stopped. Two hours of sleep became a luxury – a labor of love for whichever parent was letting the other one sleep. We tag-teamed the overnight hours, exhaustion was our new companion. Five months later he had a slightly better sleep schedule. He failed the hearing test they do for newborns. Twice. At age one, I once banged pots together to see if he’d turn his head because he would not answer when I called him. The loud noise jarred him; he could hear. He seemed defiant. He would do the same things over and over, even when we said “no”. It would be five and a half years before we found out that he couldn’t understand language. He attended preschool and pre-K, thought it was not smooth sailing. We didn’t realize how much he didn’t understand. He spoke so well, carried on fun conversations, yet he lacked an ability to understand the meaning of words spoken to him. He was challenging. He’d run away at the store, he’d scream about being confined in the stroller, he’d work on a plan in his mind – you could see the wheels turning. But we could never get him to tell us his plan – until he was almost on top of the fridge. Or until after he drew in Sharpie all over the walls. He’s got a strong will. I mean – S T R O N G. We wouldn’t make any hard and fast rules for him unless we were willing to battle it out with him. If we gave in once, we’d have to start all over again and draw the line in the sand. It just wasn’t worth it. School has been interesting – full of ups and downs. Therapy became a part of our lives in Kindergarten. I learned about sensory issues, brain development and functions. Asperger syndrome was added into the mix a few months later. An IEP – and all the legalities – became second nature. We learned how to deal with a “twice exceptional” child. Today he is a 5th grader who does work at a 6th grade level. And for the record, he has all A’s. The first few years of his life were…difficult. But there was always something about him. Maybe the twinkle in his eye, or the corner of his mouth that turns up just perfectly when he’s being mysterious. The impulses that we worked so hard to control often were rooted in love. He loved his family…and he wanted to show us that by drawing our family in Sharpie inside the bathroom cabinet. Because of his intellect, and due to the many adults in his life, he’s had some wonderful conversations with his therapists, with family and friends. He’s dug deeper into his faith than many adults I know. He’s openly shared his faith with each and every therapist. He’s learned how to play with kids his age and has gained some wonderful friends as a result. And next school year they will be bumping him up to 7th grade. He goes to classes with his peers through a cyber charter school. He participates, he writes reports, he interacts, he sometimes talks out of turn, and he says funny things – just like all his classmates. This will signify a massive “catching up” for someone who once tested at a kindergarten and 12th grade level in various parts of Language Arts. You gave us options that day. I’m pretty sure you felt that our life might be better spent without this potential problem, though you assured us that nothing was wrong. I wonder how many moms have taken you up on various options. I wonder how many moms, years later, wonder if maybe they could have, should have, chosen differently. Chosen life. Though our early years were so difficult, none of us would be the same without this child in our lives. Our son turns 12 this week. I wish you could meet him. I wish for you the opportunity to look deep into the face of someone whose life could have been an option. I’d love for you to see someone who might not be worth the struggle. I’d love to know how you would explain to him, or to me, how his life isn’t worth it. The struggles we’ve been through with him have stretched us. They’ve flat worn us out. And then the next day, we got up and we did it all over again. Because we believe in one choice – LIFE. We believe that God gives and takes life as He wills. It is not ours to decide when a life ends. You probably believe differently, and that’s your choice. This week we celebrate our second son’s 12th year. And he’s been worth it all! It’s every parent’s worst nightmare – losing connection with a child during those tough tween and teen years. We see them making choices we don’t like, but they’ve isolated themselves to the extent that we no longer have room to speak into their lives. How do we avoid this mistake? How can we keep tweens and teens engaged in the family dynamic so that they stay rooted and connected? How do we encourage independence without encouraging isolation? I spent many years working with teens while my husband was a youth pastor, and I’ve noticed that those with healthy family dynamics seem to weather these turbulent years with much more ease. So when our own children reached the tween and teen years, we decided to be intentional about maintaining that healthy family dynamic! Here are a few of our strategies. 1. Keep up the bedtime hugs and I-love-yous through those awkward tween years. I remember around the age of twelve or thirteen thinking I was too old for bedtime hugs. So, I started saying goodnight from the doorway of the living room rather than going in to hug my parents. This continued for several months until I began to miss those hugs. But by then I felt stuck. Fast forward a few decades and I find myself in the same situation with our two oldest boys, one sixteen and the other ten. Because we were intentional about asking our sons for hugs goodnight, our sixteen-year-old man-cub continues to do so. The ten-year-old imp is a little more reluctant, but he usually relents with a grin. Since I know he’s not the huggy type, I keep it brief for him. 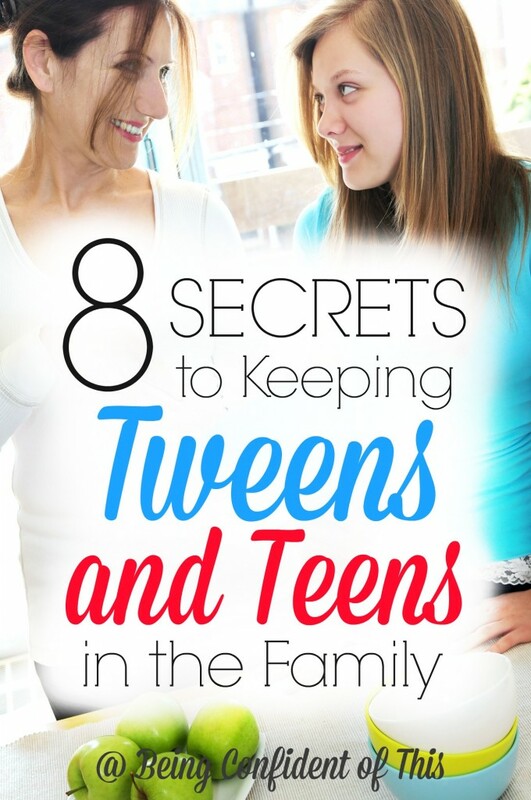 As parents, we have to intentionally set aside any awkwardness in order to embrace our tweens and teens. If we begin to act shy or awkward about hugging for real, then our tweens and teens will sense that and hold back, too. But they still need those hugs. 2. Guard the hearts of your tweens and teens by setting family rules for electronics, internet access, and phones. We do this in our family in three practical ways. First, we limit the amount of time they are allowed to spend on personal devices such as ipods, Nintendo DSs, computers or tablets, and so forth. The more time they spend engaged in their personal devices is less time they spend engaged with others. To read the rest, follow me over to my friend Rebekah’s blog, Sharing Redemption’s Stories by clicking this link or the picture below. 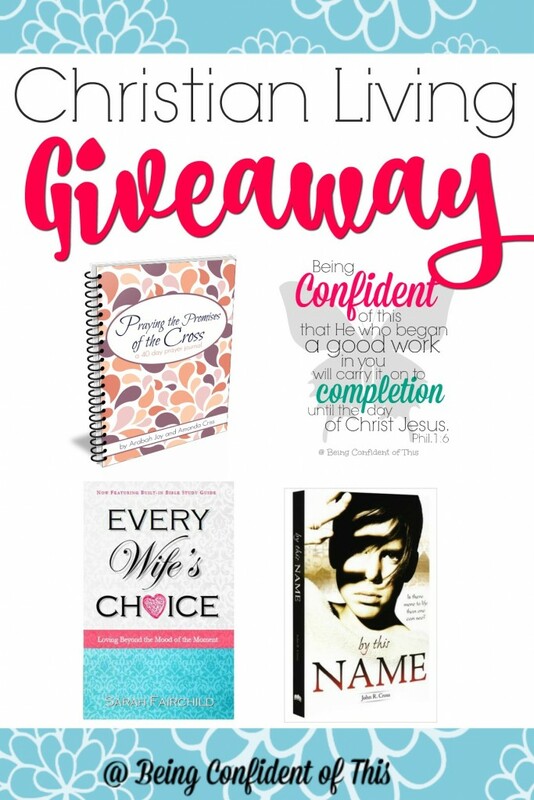 Why You Need to Take a Leap of Faith ~ and a Giveaway! Sometimes, … no quite often, God asks us to do things that make us incredibly uncomfortable. And like the shy kid who hates reading in front of the class, we have a choice to make. Will we follow, take the leap of faith? Or will we back away from the edge in fear and miss our chance to really soar? The Father has been sending me quite the message about fear lately, and I know He’s sending some of you that same message, too. It’s the same message from three years ago when I typed out my first public confession here in this space. You see, I thought that blogging would be a less terrifying, safer way to obey the Lord in using this gift of writing for His glory. I think about that now and just laugh because there is nothing less scary or safe about writing about the hard things in life. There’s nothing safe about writing how you sometimes feel unloved, or you sometimes fail at loving others. There’s nothing safe about writing out your own sin for the whole world to read. Listen to me, friends, there’s nothing safe about sharing your story, whatever it might be, but there’s nothing quite as beautiful either because when you do, you get to hear “me, too” and “I needed that” and “thank you.” You find out there are so many other work-in-progress women out there in the world who struggle through the same life lessons as you. You learn that while you set out to encourage and exhort others through this thing called writing, your Father set out to encourage and exhort you. But the most beautiful part? You get to take part in God’s story. That’s why you need a faith that leaps because when we obey, when we take that risk of being foolish for the sake of Christ, we join in the work of reaching others for His Name. And there is nothing more difficult yet infinitely more rewarding than that, is there? Is it worth it, this leap of faith? That hard thing He wants you to do? That person you need to talk to? That story you need to share? That sin you need to confess? That future that He wants you to leap in to? And I’m not talking about the feel-good, positive-vibes leap of faith in yourself. I’m not talking about the dream-your-own-dreams, you-can-do-it, make-your-own-destiny kind of leap. 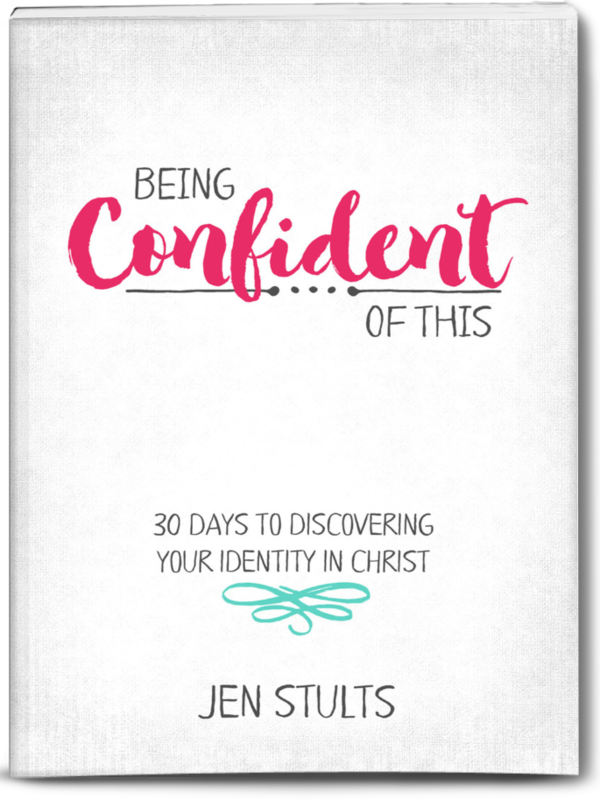 I’m talking about the leap of faith that asks you to deny yourself and take up your cross. The leap of faith that scares the pants off of you because you’re fairly certain you are not capable on your own. The leap of faith that is only possible because you serve the God of the impossible. 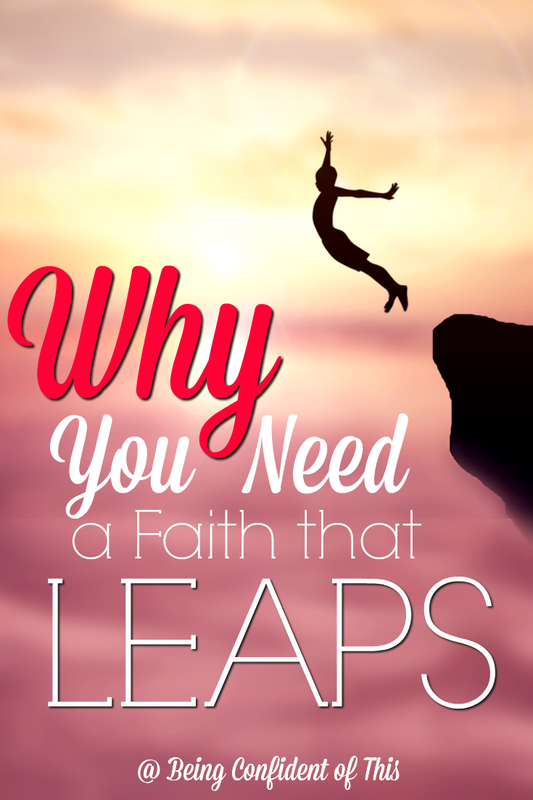 I’m talking about a leap of faith with its object and focus as the Creator of the Universe, the God who holds you in the palm of His hand, the One who will never leave you nor forsake, who plans to prosper you and not to harm you. Take that leap of faith, friend. To do otherwise is to willfully choose disobedience. Choose faith and find yourself in awe of the Lord who works in and through you! It was a big week for Being Confident of This! This is our preferred Creation-to-Christ resource for strengthening anyone’s understanding of the Bible as a whole. It is our go-to tool for evangelism, discipleship, and so forth. My favorite resource for every marriage (and not just because it’s written by my talented sister)! 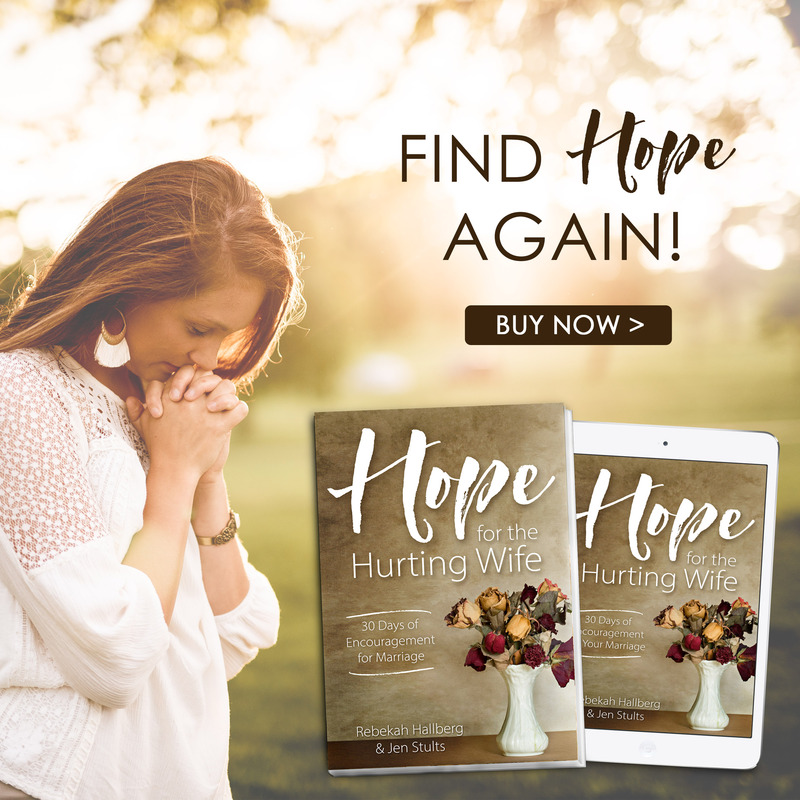 Sarah delves into the greek roots of the famous First Corinthians 13 passage on love to reveal truths about the choices we have in loving our husbands. Packed with humorous anecdotes, this read will both challenge and encourage you as a wife. I had the privilege of working on the graphics for this printable prayer journal (pdf version). Each day contains a brief yet powerful devotional reading about the promises of the cross, a scripture to read and write out, and a section to write out your own prayer. Okay, time to enter – and don’t forget to share this around so your friends can enter, too! *Being Confident of This makes use of affiliate links. For more information, please see the homepage. Thank you for helping to support this blog!